The Bigbelly team is packing their bags and getting ready to head to Barcelona, Spain next week (November 14 to 16) for the annual Smart City Expo World Congress - the global summit on smart urban development, planning, and management! Cutting-edge smart cities, ecosystem of partners, visionaries and thought leaders shaping the smart cities of both today and tomorrow will convene at the Fira Gran Via Barcelona for the congress and expo. 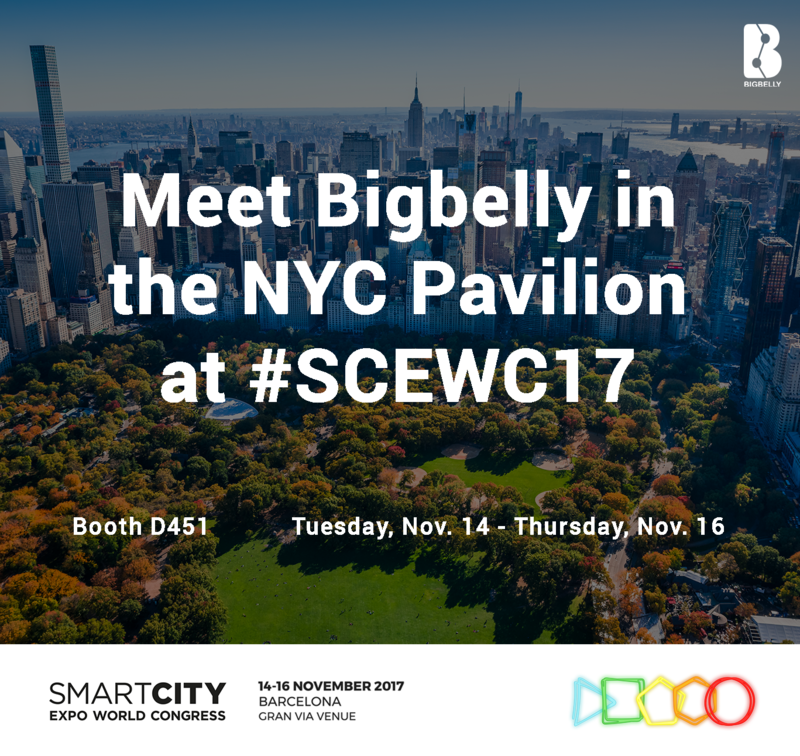 Bigbelly joins a network of smart city leaders in the New York City Pavilion, centrally located in the main expo thoroughfare (#D451). Bigbelly is one of twenty highlighted organizations and ecosystem partners that are helping to create a sustainable, resilient and equitable New York City. As a key strategic partner with deployed, meaingful, scaled smart city solutions in the United States' leading smart city, we are honored to be back in the NYC Pavilion! The SCEWC is the leading international event for the smart urban solutions industry, the key meeting point for experts and leaders of the world’s most innovative cities, companies, research centers and international organizations, and the place to share knowledge and get inspired. More than 17,000 visitors are expected from 700+ cities with over 600 exhibitors. Visit us in booth #D451 to meet our team and learn more about Bigbelly solutions for Smart Cities, Smart Campuses, and Smart Venues & Retailers. Learn how Bigbelly can help you transform your community to become more productive, clean, sustainable, and connected. Explore how the Bigbelly platform not only modernizes and transforms public space waste and recycling operations across the globe, but also how our multi-purpose infrastructure in the public right-of-way can do so much more for a community - from delivering Wi-Fi and sensors to hosting communications infrastructure. Do you want more information? Simply drop us a line through the button below to set up a meeting with one of us at the Smart City Expo World Congress. Follow along with the event on social media with from #SCEWC17, and we look forward to seeing you soon in Barcelona!